Ladies leather loafer shoe. Sizes 3-8. no half sizes. 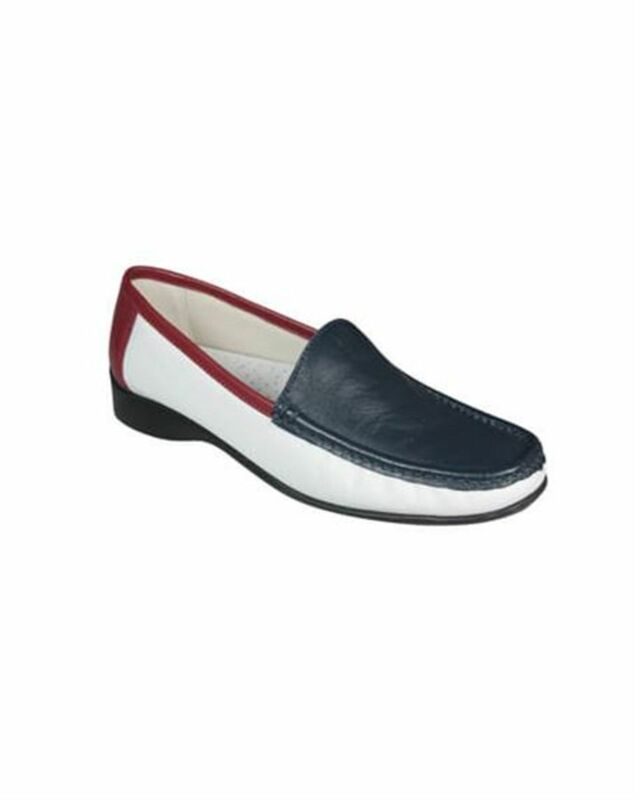 Ladies soft slip on leather loafer with contrasting navy toe, red heel and trim to complete your autumn outfit.